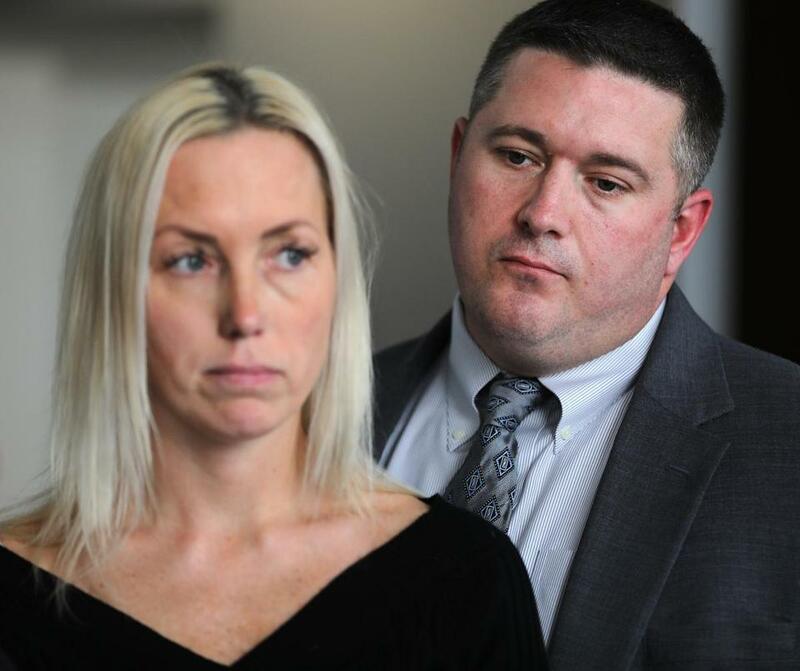 Boston police Officer Kurt Stokinger and his wife Janella Stokinger. Armslist bills itself as an online firearms marketplace — “a gun show that never ends,” in the words of its cofounder — where buyers and sellers can easily conduct private transactions through classified-style ads. But a Boston police officer who was shot and injured by a Glock handgun purchased through the website alleges the company is effectively running an unregulated online bazaar where felons and other dangerous people buy and sell guns illegally. In a lawsuit filed Thursday in Suffolk Superior Court, Officer Kurt Stokinger details how a New Hampshire woman used Armslist to buy 30 to 63 guns, including the Glock that she later sold to Grant Headley, the convicted felon who allegedly shot Stokinger in Dorchester in January 2016. Armslist only facilitates private sales, so it is not required to conduct background checks like traditional brick-and-mortar stores. It was established after Amazon, Craigslist, and eBay stopped selling guns online because the companies recognized it was too dangerous, said Jonathan E. Lowy, an attorney at the Brady Center to Prevent Gun Violence, who is representing Stokinger, 39, and his wife, Janella. “Officer Stokinger almost lost his life because a dangerous felon who should never have had a gun was able to get one, and the reason why he was able to get one was largely because of the irresponsible conduct of Armslist.com,” Attorney Jonathan Lowy said. “Officer Stokinger almost lost his life because a dangerous felon who should never have had a gun was able to get one, and the reason why he was able to get one was largely because of the irresponsible conduct of Armslist.com,” Lowy said. Stokinger and his wife are seeking monetary damages as well as changes in how Armslist does business, Lowy said. Representatives of Armslist did not respond to requests for comment. The Brady Center has sued Armslist twice before — once in Illinois, where the case was dismissed, and once in Wisconsin, where the case is currently before the state high court. Armslist has defended itself in those cases by arguing that the federal Communications Decency Act protects third party websites that merely facilitate gun sales from liability. Stokinger, a nine-year veteran of the department, was shot when he and other officers attempted pull over Headley, whom they believed was selling drugs. Headley leaped from his car and allegedly fired five shots before his gun jammed and he was arrested. Stokinger, a father of two, was shot once in the leg. He survived, but remains on medical leave from the Boston Police Department. The suit says the injuries Stokinger sustained have caused him and his wife significant pain, suffering, and emotional distress. Stokinger and his wife appeared at a press conference with Lowy on Thursday but did not speak. Lowy said Stokinger has been advised not to comment while the criminal case against Headley is pending. That case is expected to go to trial early next year. The suit against Armslist accuses the website of enabling Sara Johnson, a Manchester, N.H., woman, to run an illegal gun-trafficking operation. It says that, after buying up to 63 guns through Armslist, she scratched off the serial numbers, and sold them on the streets. At least four of the guns Johnson bought through Armslist were later seized on the streets of Greater Boston, including Headley’s Glock, the lawsuit says. Headley was barred under federal law from owning a gun because he is a felon, convicted in 2009 of drug possession and illegal gun possession, the lawsuit says. But Armslist “created a marketplace where anything goes, where virtually anyone can go online to sell guns or to buy guns,” Lowy said. Buyers and sellers do not need to register with the website, and can complete their transactions anonymously, the lawsuit says. There is also no limit on the number of guns that a person can buy through Armslist, which helped Johnson stockpile weapons and sell them illegally, Lowy said. The lack of reasonable safeguards makes the website a haven for such illegal transactions, and the cause of a significant number of shootings and murders, the suit says. 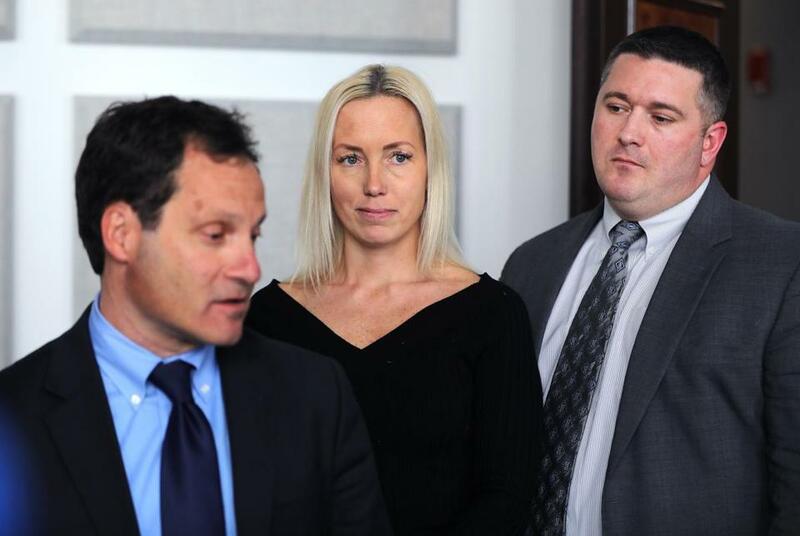 “We believe we can prove that Armslist’s negligence was the direct cause of Officer Stokinger’s injuries, and caused him very grievous harm and has also caused his wife grievous harm,” said John D. Kimball, an attorney at Blank Rome, who is also representing the Stokingers. The suit names Armslist as well as Johnson and Headley as defendants. Johnson, 36, was sentenced in September to 18 months in prison for gun crimes, including owning a pistol with an obliterated serial number and buying a rifle for a convicted felon.